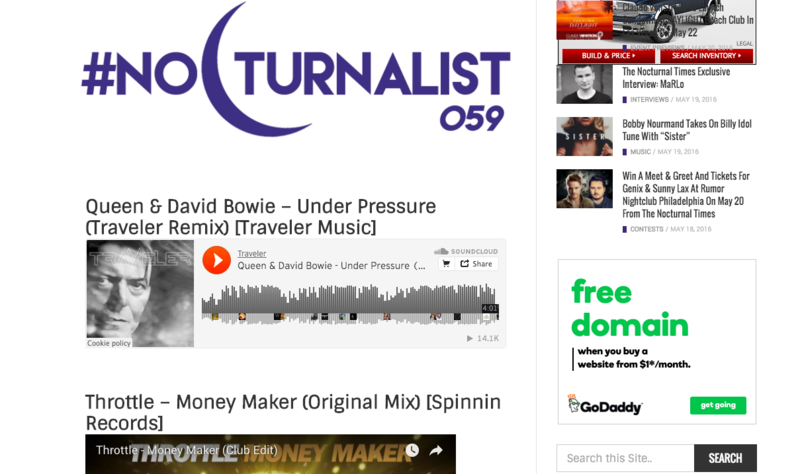 Traveler Remix Makes Nocturnal Times Top Tracks of The Week List! We are thrilled to be included with some top notch talent this week on the Nocturnal Times top tracks of the week list! Thanks to all the fam for your support! This is just the start! This entry was posted on Friday, May 20th, 2016 at 6:28 am and is filed under News, Press. You can follow any responses to this entry through the RSS 2.0 feed. You can leave a response, or trackback from your own site. « Traveler’s Remix Of “Under Pressure” Added To Dash Radio!